Updated list of stores that carry Pancake Presents Molds, and The Farmer’s Table Grand Opening! I am so excited to announce that Pancake Presents Molds are available in more stores! The following is a list of stores and restaurants that are selling our molds. There are also restaurants that are using our molds for their pancakes. 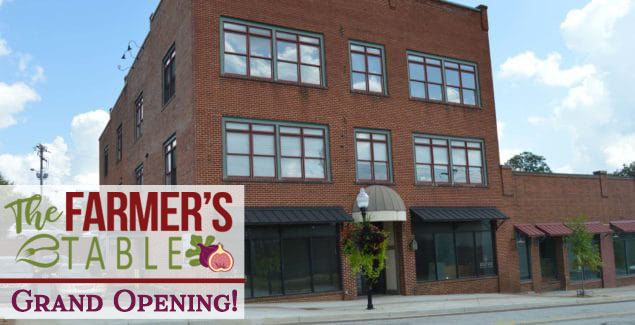 I’m also excited to announce that The Farmer’s Table Restaurant has opened their new, bigger location! Join them for the most amazing farm to table food I have ever tasted! My favorite is their blueberry and apple crumb french toast (shhhhh don’t tell I’m cheating on my pancakes!) followed closely by their classic sandwich. Great people and amazing food! Congratulations to the owner’s Joel and Lenora Sansbury! If you know any local stores that you think our products would be a great fit for, please let us (or them) know! Thanks for supporting local shops and small businesses! Updated list of stores that carry Pancake Presents Molds, and The Farmer's Table Grand Opening! Pancake Presents is all the buzz this Valentine's Day!